German cellist Anja Lechner and Argentinean guitarist Pablo Márquez met in 2003 and have since explored the most diverse repertoire and modes of expression in their concerts. 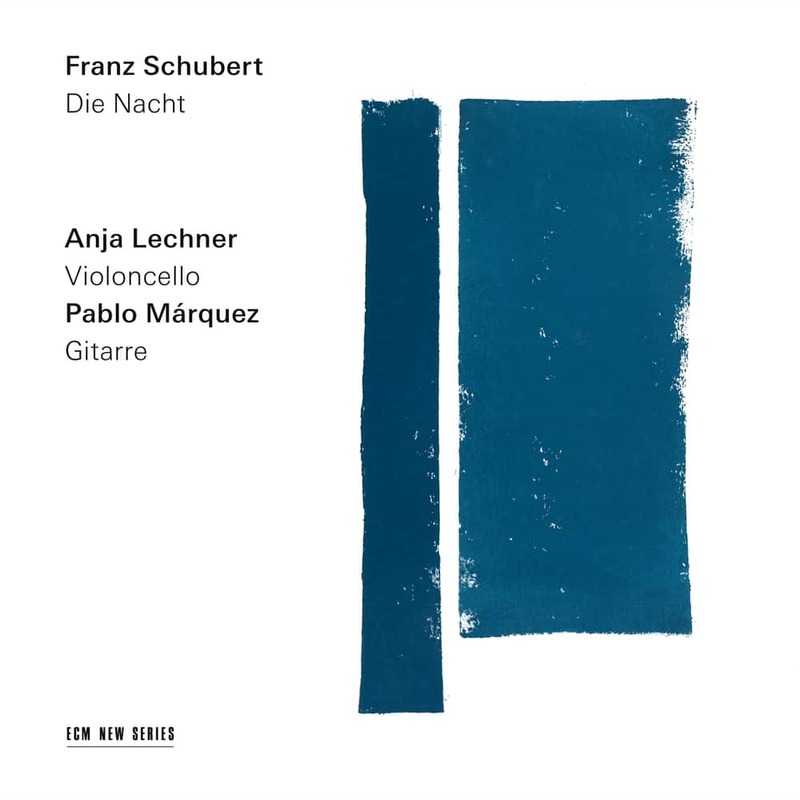 For their first duo album, a conceptual context is provided by the strong tradition of songs with guitar accompaniment prevalent in 19th century Vienna, as Lechner and Márquez play some of Schubert’s most beloved songs (including Die Nacht, Nacht und Träume and Der Leiermann), elegantly framing the album’s centrepiece: Schubert’s expansive ‘Arpeggione’ sonata. Many of Schubert’s songs were published in alternative versions with guitar during the composer’s lifetime; in some cases, the guitar version appeared even before the one for piano. Interspersed on the recording, as an echo and commentary to Schubert’s spirit and language, are the graceful Trois Nocturnes originally written for cello and guitar by Friedrich Burgmüller (1806-1874). Die Nacht is issued as Lechner and Márquez embark on a European tour with concerts in Germany, Austria, France, Hungary and Romania.